A classic SF novel from one of the genre's masters - now a Golden Age Masterwork! The time: 200 years after man's first landing on the Moon. There are permanent populations established on the Moon, Venus and Mars. Outer space inhabitants have formed a new political entity, the Federation, and between the Federation and Earth a growing rivalry has developed. 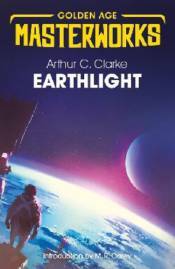 EARTHLIGHT is the story of this emerging conflict.